How good's your vocabulary? What about words with four letters or more? How fast can you come up with said words? If you're good at that kind of thing, you'll want to check out Letter Go, a new word game coming from WizKids. Wizkids is pleased to announce its upcoming Word game, Letter Go! 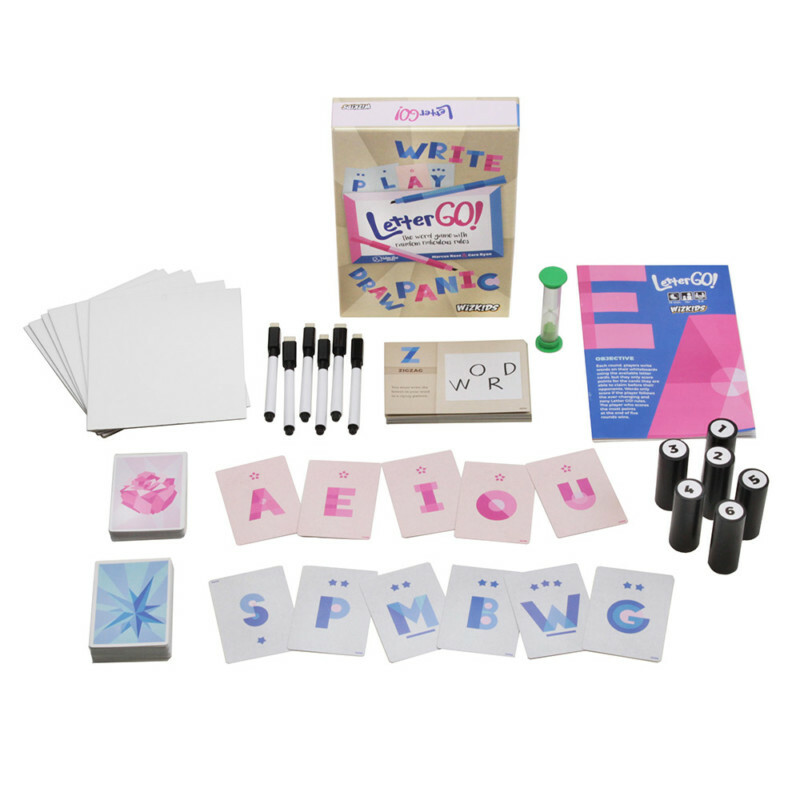 Designed by Marcus Ross and Cara Ryan, three to six players write words that are 4-letters or more on their whiteboard using the available letter cards but score points only for the cards they are able to claim before their opponents!